Part of the mission of the Florilegium Program is to exhibit and promote both historical and contemporary botanical art of the Sonoran Desert. 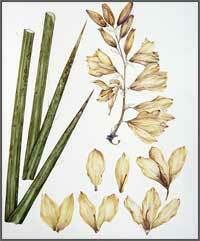 The Florilegium Program has organized and provided assistance for several exhibits since 2009. Artwork from those exhibits is archived here for viewing. In celebration of the long tradition of botanical art, the Sonoran Desert Florilegium Program of the Tucson Cactus and Succulent Society in partnership with The Art Institute of the Arizona-Sonora Desert Museum presented examples, from the past to the present, of engravings, lithographs, illustrations, drawings, and paintings of Sonoran Desert plants. The exhibit ran from August 24 to October 27, 2013, and featured past works by internationally regarded botanical illustrators and works by contemporary botanical artists. Older examples of botanical art were displayed within the historical context of both the Sonoran Desert Region and botanical art in general. The exhibit began with contemporary works that had been juried into the exhibit. It then continued from the oldest pieces through to the present, ending with illustrations from current projects involving botanical art. The complete exhibit is online and can be seen here. Photos of the exhibit and the opening reception are here. 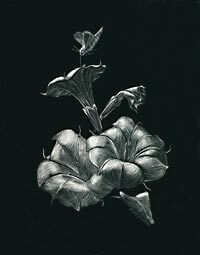 The juried exhibit included sixty works in a variety of media by members of the Southwest Society of Botanical Artists (SWSBA). In celebration of the state's centennial year, many of the works include plants native to Arizona, plants of other locales, and creatures of the natural world. 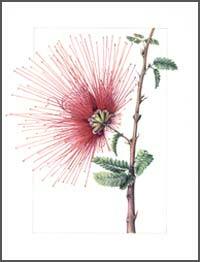 SWSBA is the Arizona chapter of the American Society of Botanical Artists. Members have backgrounds in fine arts, graphic arts, business, technology, and education, but they all share a love of the natural world, especially plants. This traveling exhibit highlights the ongoing work of the Desert Legume Program, a joint project of the Boyce Thompson Arboretum and the University of Arizona College of Agriculture and Life Sciences. In addition to the completed illustrations, this exhibit includes work-in-progess drawings that show the various stages of production of a scientific illustration. 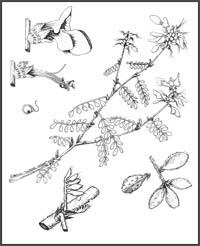 More information about the Desert Legume Program and Legumes of Arizona can be found here. This juried exhibition showcased Arizona's native plants during the state's centennial and coincided with the Tempe Center for the Arts Arizona Centennial Celebration. The exhibit was organized by the Southwest Society of Botanical Artists (SWSBA), the Arizona chapter of the American Society of Botanical Artists, a non-profit organization dedicated to the tradition of botanical art. This exhibit featured forty illustrations by three botanical artists who are active in the Sonoran Desert Florilegium Program. The colored pencil drawings were commissioned by the Tucson Botanical Gardens to highlight certain plants from their collection for promotional and educational purposes. Included in the exhibit were illustrations of native plants of the Sonoran Desert and introduced species that have adapted to the desert environment. 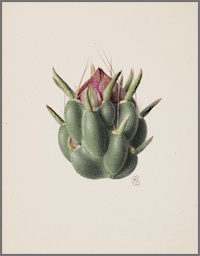 Selected botanical illustrations from Howard Scott Gentry’s Agaves of Continental North America were collected into an exhibit in 2009 to showcase Gentry’s seminal work as well as the art of its three renowned illustrators, Regina O. Hughes, Lucretia Breazeale Hamilton, and Wendy Hodgson. 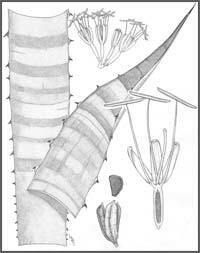 The drawings were loaned to the Sonoran Desert Florilegium Program for the exhibit by the University of Arizona Herbarium. This was the first time that original illustrations for Gentry’s book had been presented for public viewing. The exhibit was shown in 2009 at the Tucson Botanical Gardens and the Arizona-Sonora Desert Museum. Then, in 2010, the exhibit was showcased at the reception for the Annual Succulent Symposium at the Huntington Botanical Gardens in San Marino, California. In the spring of 2009, the Tucson Cactus and Succulent Society (TCSS) hosted the Cactus and Succulent Society (CSSA) Biennial Convention. In cooperation with the Art Institute of the Arizona-Sonora Desert Museum (ASDM), the Sonoran Desert Florilegium Program presented two art exhibits depicting cactus and succulents to coincide with the convention. A Closer Look at Cactus & Succulents and Illustrations from Howard Scott Gentry’s Book, Agaves of Continental North America, were on display at the ASDM during the convention in Tucson.